At the end of 2009 over 33 million people were living with HIV. Sub-Saharan Africa bore an inordinate share of the global burden with 22.5 million of those infected living in the region. Ten countries in southern Africa were home to 34 percent of the global population living with HIV and experienced 31 percent of all new HIV infections in 2009.1 In order to curb the spread of the disease, many governments and international organizations have called for increased investment in HIV testing, under the assumption that individuals would act in their own self-interest to learn their HIV status and change their sexual behavior. 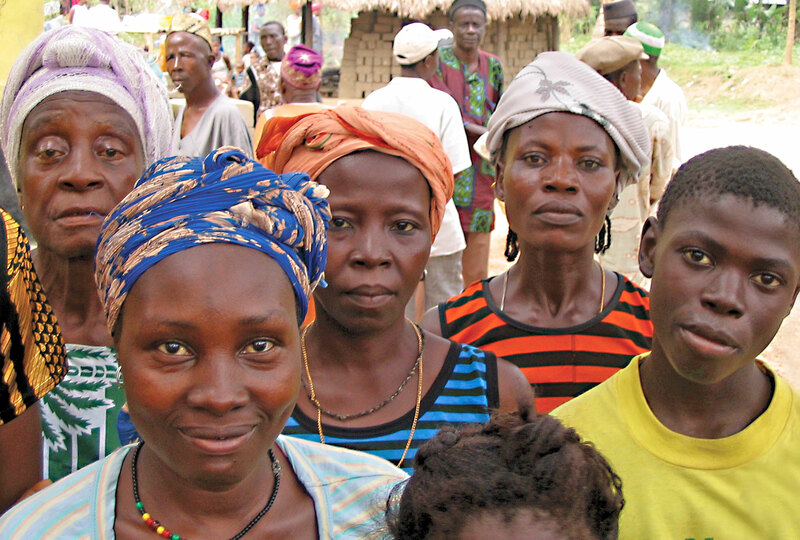 By 2009, voluntary counseling and testing (VCT) facilities were fairly common in sub-Saharan Africa and most testing was free. However, utilization of these services remained low and little research had investigated the impact of learning one’s HIV status on sexual behavior. At the time of the study, more than 12 percent of adults in Malawi were infected with HIV/AIDS. The HIV prevalence rate in the sample area was considerably lower than the national rate, at 6.4 percent, but it was comparable to, or greater than, the prevalence rate in much of sub-Saharan Africa. In the face of this epidemic, policymakers and NGOs faced an urgent need to develop effective prevention programs, including voluntary counseling and testing (VCT) interventions. Although surveys in several African countries have reported that over two-thirds of individuals who did not know their HIV status would like to get tested, the proportion of adults who actually utilize the available testing services is much lower, below 15 percent in some areas. 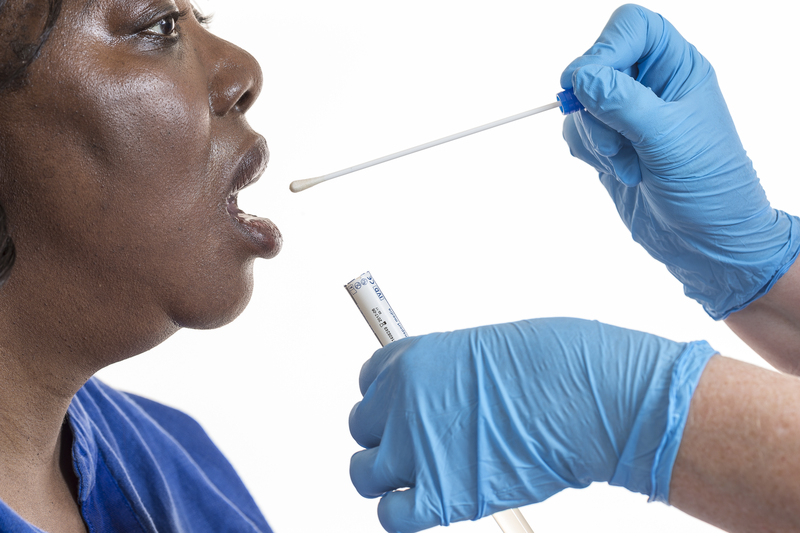 Even when individuals chose to have an HIV test, many did not collect their results. Studies conducted in 1998 and 2003 estimated that only about 65 percent of individuals returned to learn their status after being tested. Researchers evaluated the Malawi Diffusion and Ideational Change Project (MDICP), a collaborative project between the University of Pennsylvania and the Malawi College of Medicine. MDICP sought to explore the determinants of the demand for, and the impact of, learning one’s HIV status. The evaluation took place in approximately 120 villages in three districts of Malawi. Approximately 25 percent of households in each village were randomly selected, and from these households a total of 1500 ever-married women between the ages of 15 and 49 and their husbands were selected to participate. The original participants were selected in 1998, and in 2004 a random sample of approximately 800 young adults (both married and unmarried) between the ages of 15 and 24 was added. In 2004, samples were taken through oral swabs and sent to a laboratory to be tested. Respondents were randomly given vouchers worth up to US$3 (about three days’ wages). Respondents could redeem the vouchers upon obtaining their test results two to four months later at a nearby VCT center. The location of the VCT centers was also randomized so as to evaluate the impact of distance and travel time on VCT attendance. The average distance to a center was 2 km, with over 95 percent of those tested living within 5 km. At the center, regardless of their test result, each respondent also received approximately 30 minutes of counseling on safe sexual practices, including abstinence and condom use. About two months after the tests became available, respondents were re-interviewed in their homes and given the opportunity to purchase condoms at half the subsidized retail price: five cents for a package of three condoms or two cents for a single condom. In 2006, the VCT program was adjusted slightly in an effort to improve take-up. First, before testing began, village meetings were held to explain the purpose of the home visit and allow community members to see a first-hand demonstration of the testing technology. In addition, a random sub-sample of married respondents were offered the choice between testing and learning HIV status together as a couple or separately. Both individuals needed to agree in order to receive results together. In 2006, respondents’ HIV status was measured using a rapid blood test, which provided much quicker results than oral swabs. After 15 minutes, with the help of VCT counselors, respondents were able to read the test results themselves – one visible red line on the test kit indicated a negative result, while two lines indicated a positive result. Subsequently, the respondent accompanied the counselor to the nearest pit-latrine to dispose of all test-related devices. Impact of Monetary Incentives and Distance: The demand for HIV test results among those who received no monetary incentive was fairly low, with only 35 percent of those tested collecting their results. However, monetary incentives were highly effective in increasing result-seeking behavior. On average, respondents who received any cash voucher were twice as likely to go to the VCT center to obtain their HIV test results as those who received no cash incentive. Although the average incentive was worth about a day’s wage, even the smallest amount, about one-tenth of a day’s wage, resulted in large gains. Distance also had a significant impact on the likelihood of obtaining HIV test results. Those living more than 1.5 km from the VCT center were 3.8 percentage points less likely to collect their results than those living within 1.5 km (a 6 percent decrease). Peer Effects: The presence of social networks had a significant impact on the likelihood of learning one’s HIV status. A 10 percentage point increase in the percentage of neighbors (approximately 2.4 individuals) learning their HIV test results increased the probability of learning HIV results by 1.1 percentage points. This effect was greatest for neighbors living within close geographic proximity of each other and for individuals living further away from HIV result-collection centers. Religious networks had no significant impact on learning HIV results. Impact on Sexual Behavior: Learning HIV status did not substantially affect condom purchasing behavior for most people. Among sexually active individuals, on the other hand, receiving an HIV positive diagnosis led to a small but significant increase in the likelihood of purchasing condoms. On average, sexually active individuals who learned they were HIV-positive purchased 1.69 more condoms than HIV-positive individuals who did not learn their results. Impact on Subjective Beliefs and Economic Behavior: Although learning HIV results had a short-term effect on subjective beliefs about the likelihood of HIV infection, it had no long-term impact. In interviews two to six months after testing, individuals who had learned their results reported their risk of infection more accurately than individuals who had not learned their results. After two years the difference in perceived likelihood of infection between those who had and had not learned their status disappeared. Accordingly, obtaining either positive or negative results had few significant effects on longer-term economic behavior. Two years after receiving their results, there were few significant differences between HIV-positive and HIV-negative individuals in propensity to save, amount worked in the past six months, income, or expenditure. In 2006, 92 percent of respondents agreed to be tested, of whom 98 percent received their results. In comparison, in 2004, 91 percent of respondents agreed to be tested, but only 69 percent of all respondents ever received their results, and only 34 percent of respondents receiving no monetary incentives collected their results. Semi-structured interviews with a subset of the sample and observational data suggest that a large proportion of respondents consented to be tested in both 2004 and 2006 because of their strong preference for convenient and confidential door-to-door testing. Door-to-door testing removed the obstacle of travel, which is time-consuming and costly, and provided much more privacy than a hospital. The VCT counselors came from areas outside of the sample villages and were therefore not familiar with respondents prior to testing. These factors – convenience and confidentiality – can also help to explain the significant increase in the proportion of respondents who received results in 2006. Respondents reported that they highly preferred the rapid blood test. The rapid test eliminated the anxiety of the waiting process and ensured that their results had not been tampered with or confused with someone else's, convincing them of the accuracy of their test result. The red lines on the test kits allowed respondents to see their test result with their own eyes, rather than having to trust that the counselor was reporting the correct results. Furthermore, the method of disposing the test kits in front of the respondent was also seen as an advantage, as it ensured that the evidence of the test itself was permanently destroyed. Follow-up interviews showed that as more community members were tested for HIV, the perceived prevalence of HIV decreased. When the number of community members tested increased by 10 percent, individuals attributed 1.27 fewer deaths to HIV/AIDS, a decrease from estimates of 6.37 deaths. As testing became more common and individuals learned that HIV prevalence was lower than they had thought, individuals became more likely to engage in risky sexual behavior. Godlonton, Susan and Rebecca Thornton. 2012. “Peer Effects in Learning HIV Results.” Journal of Development Economics 97: 118-129.